This week in Congress was all about the health bill – from speculation about the content and complaints about the opaque process in the beginning of the week to analysis and commentary after the Thursday release. Also this week: the President signed the VA Accountability Act and new revelations surfaced about Russian efforts to hack the 2016 election. On Thursday, Senate GOP Leadership released the "Better Care" health care discussion draft, the Senate's amendment to the House-passed American Health Care Act. As a reconciliation bill, the Better Care plan only needs 50 votes to pass (with VP Pence as the tie-breaker). That means two Republicans could defect and the bill still pass. The question is – will the bill move left to pick up moderates or right to pick up conservatives? 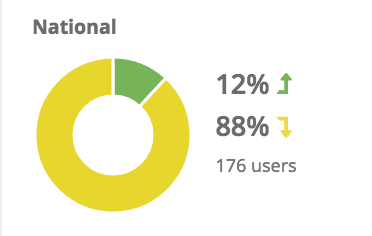 This divide is clear even from the comments that have been registered on POPVOX – a majority of constituents oppose the bill: some think it goes too far in repealing the existing system, some think it does not go far enough. Dean Heller [R, NV]: "I cannot support a piece of legislation that takes away insurance from tens of millions of Americans and hundreds of thousands of Nevadans"
Rob Portman [R, OH]: "I continue to have real concerns about the Medicaid policies in this bill, especially those that impact drug treatment at a time when Ohio is facing an opioid epidemic"
Currently, for a variety of reasons, we are not ready to vote for this bill, but we are open to negotiation and obtaining more information before it is brought to the floor… There are provisions in this draft that represent an improvement to our current health care system but it does not appear this draft as written will accomplish the most important promise that we made to Americans: to repeal Obamacare and lower their health care costs"
The Senate will negotiate informally over the next few days, hearing concerns from members and looking to secure 50 votes. 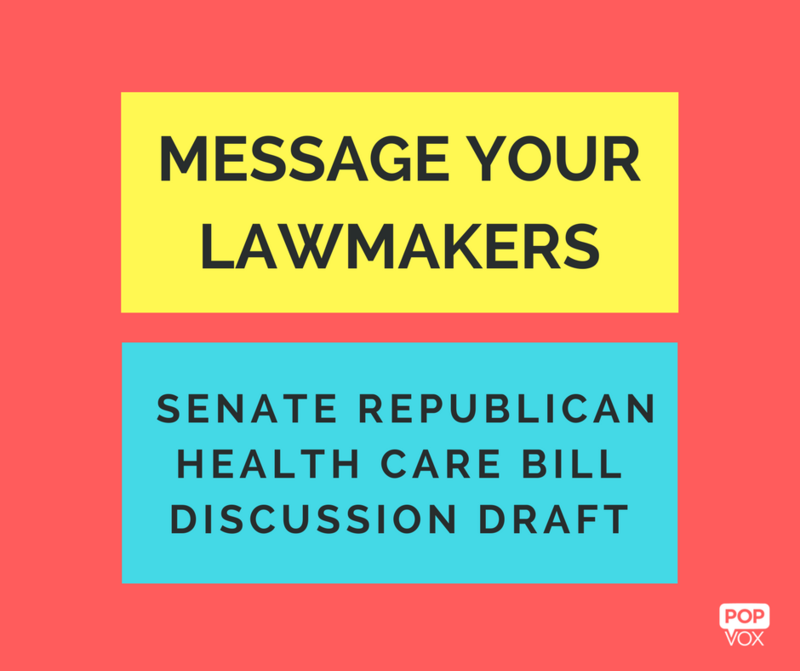 You sent some great questions about the health bill! Tom W: How much is it going to cost in lost taxes? Great question! This is information we can expect to learn from the Congressional Budget Office report, expected Monday or Tuesday. This nonpartisan agency runs the bill through its mathematical model to predict its impacts and costs. Stay tuned! Cathy H: I'm covered under my employer's health care insurance. How will this affect me? The Senate bill like the American Health Care Act in theHouse, would eliminate the “employer mandate” that requires employers to provide health insurance or pay a fine. While your employer may opt to continue to provide a health insurance plan for employees, there will be no penalty if they choose not to. Undocumented immigrants are currently not eligible to buy Marketplace health coverage, or for premium tax credits and other savings on Marketplace plans. The Senate bill applies to "qualified aliens" as defined in Section 431 of the Personal Responsibility and Work Opportunity Reconciliation Act (PRWORA).healthcare under this new law? 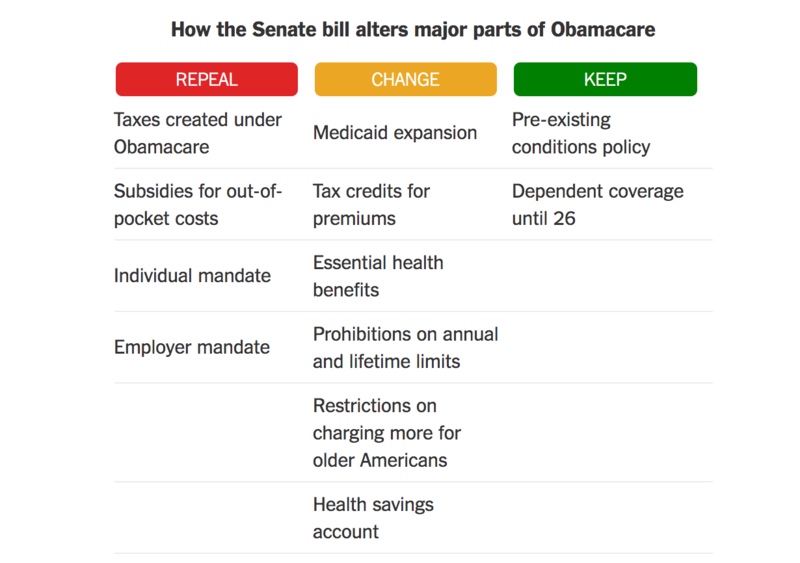 Steve B: Why does this bill have to be so complicated? I have tried to read the summary and some of the text of the Bill and it reads like a bunch of drunk lawyers wrote it. We loved this ;-)… and YES, while the bill language is complicated, it's really the only way to actually change existing laws.. you have to go in and delete and edit parts of them, and that gets messy. That's why analyses like what's coming from the Congressional Budget Office next week become so important. They show how these changes impact other laws and what the overall cost will be. Prohibit bonuses and relocation expenses for employees who have been found guilty of wrongdoing or abuse. Former Homeland Security Director Jeh Johnson told House and Senate Intelligence Committees that Russia "at the direction of Vladimir Putin himself, orchestrated cyberattacks on our Nation for the purpose of influencing our election — plain and simple." Is the Queen making a political statement with her hat?